Our Crack Stitching Repair Service Keeps Your Walls Protected! 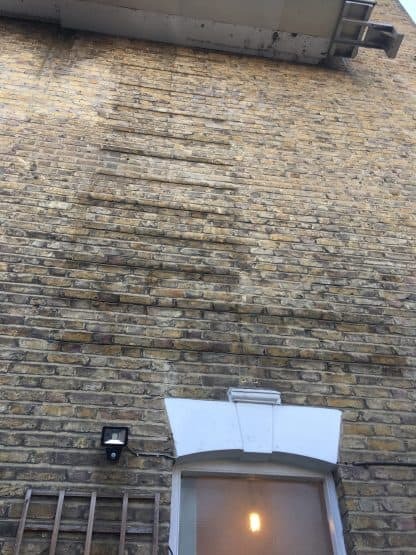 At London Structural Repairs, we are a team of crack stitching repair experts who can fix your walls, making them appear new. We have extensive experience repairing buildings, walls, and structures using quality materials. We can diagnose the problem area for you and fix it in little time so you don’t have to bear a lot of trouble. Whether it is cracked masonry or wall reinforcement, we are your go-to experts in London! As experts in crack stitching repair, we understand how stressful it can be to leave your wall with cracks on it. Not only do they make the wall look unpleasant, but also results in a range of problems. That’s why it is important to deal with crack repairs as soon as you locate them. Any structure can be damaged overtime due to extensive physical or natural movement. As a result of this movement, the walls tend to get damaged. Damage to the walls can be seen in the form of cracks and holes. It is highly unsafe to live in a home with cracks in the walls. Therefore, if you see cracks in the wall, get in touch with us to fix the problem using crack stitching repair service. We will take care of your deteriorated walls and make sure that your home is a safe place to live. Sometimes, your walls begin to crack due to the use of bad quality structural materials. In order to avoid a risky situation, get in touch with us to prevent permanent structural damage. We Provide Exceptional Resilience Against Wall Cracking! When it comes to crack stitching repair, we are your go-to experts in London. We make use of high quality and advanced crack repair products so that your walls are protected for a long time. Cracks often occur in walls when the building is built using inappropriate materials. If you witness vertical cracks in your walls, you need to call experts for help immediately. Crack stitching repair is the ideal for getting rid of cracks from the wall. However, only an expert can ensure that the cracks are repaired properly. When you call us for crack repairs in your walls, we first inspect your walls to get to the root cause of the problem. It is after thorough inspection that we determine the kind of service you need. Quick and Effective Wall Protection! We keep the costs to a minimum while offering high quality crack stitching repair services in London! If you notice any cracks or damage to your properties walls then give us a call on 020-8523-1713 so we can help provide you with the best remedial solution to your problem.